When fishing a venue with a low population of carp (controlled by predator fish species such as bass for example), it is advisable not to overfeed. In these circumstances, the preferred feeding method will be small amounts. When feeding too much, it will take longer to get any action and it is unnatural for carp to discover a heap of free food that wasn’t there before. This will also result in catching smaller carp, because big carp are more weary and cautious. 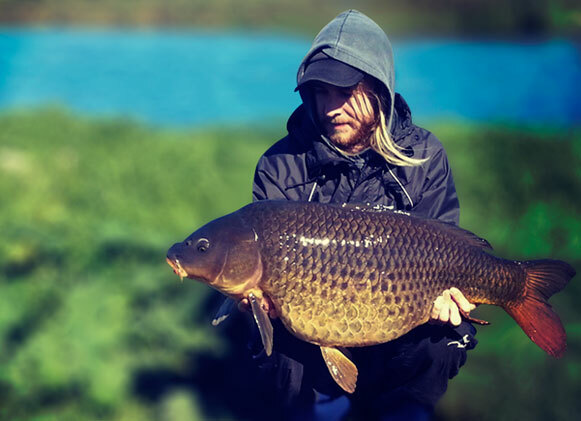 Venues with a greater carp population can produce a large quantity of carp when feeding high volumes, but it can be difficult to catch the bigger ones from the venue. 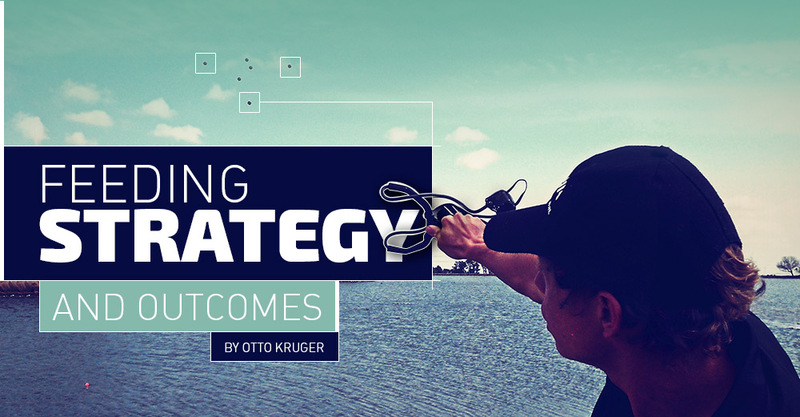 A tactic that will increase your chances of catching bigger fish would be to place your hookbait on the margins or outside of your feeding area. Bigger carp have years of experience on how to avoid danger; they know the water they swim in and are aware of the availability of natural food and where to find it. Feeding high volumes will draw carp into your swim, but the smaller carp will investigate the area much quicker and dig in. Larger carp must build confidence to feed in a baited area that was not there before, and will begin feeding on the margins. Every venue has natural food of some sort and some have more than others. If the natural foods from the venue you fish are abundant, small amounts of feed will result in more fish on the bank. Carp will not feed in high volumes for the simple reason that they might not be that hungry. Venues with a low quantity of natural food will have the complete opposite effect if you are feeding rapidly. I prefer to fish with boilies, but in some cases (at specific venues) it’s just not possible to keep catfish away from my baited area as well as my hookbaits. This includes yellowfish and blue kurper, but catfish are the most common nuisances. My preferred bait in these circumstances will be particles that consist of tiger nuts, hemp seed and maize. Fish are most active in the summer months, and therefore use more energy. They have to feed more during these warmer months to maintain their higher energy levels. Thus, in summer, you can feed a lot and still catch fish. In the winter months, fish are less active and move much slower. It allows them to go without food for longer periods. In my experience, when fishing with boilies, you will get better results on milk protein and soluble protein. It’s easier for the fish to digest in the winter months. When you are targeting a new venue, it is important not to overfeed for the simple reason that you can’t get bait out of the water when it is already there. If you didn’t do effective feature finding, or the availability of natural food is so high that carp find no interest in the free offerings, all has gone to waste and you will be sitting on your hands with no knowledge whether carp are in your swim. Feeding a large amount of feed over a long period on a regular basis will make the fish more comfortable in the baited area. 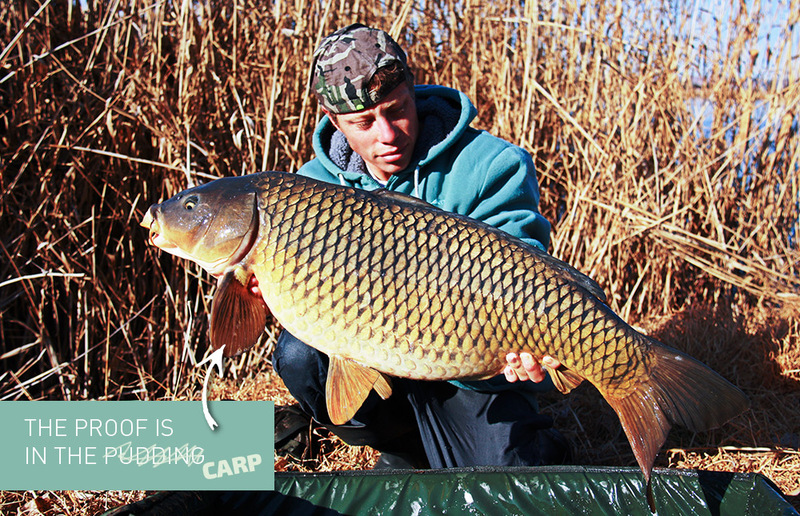 It will draw the bigger carp closer over time, which will result in bigger carp at your swim. Using this method can be a time-consuming and costly exercise, but can be very effective. A well-known feeding method is the mousetrap that can be used on short or long sessions. 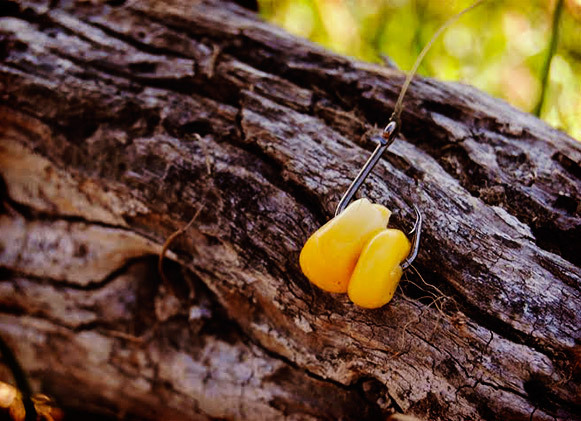 This method simply requires dropping a small amount of feed over your hookbaits. You can use solid PVA bags or it can also be dropped using an inflatable with one or two handfuls of feed consisting of particles, boilies, pellets, mixed feed, stick mix or any bait of your choice. It can produce carp fairly quickly, but can restrict you from catching big carp. As mentioned previously, big carp normally patrol the margin of the baited area. The theory goes that the little amount of feed over your hookbait allows smaller carp to invade the area much quicker than the bigger carp. I recently discovered a feeding strategy similar to the mousetrap, only by the amount of feed used. Instead of placing one or two hands of food directly over or on top of the hookbait, spread the feed 10 to 20 metres around your hookbait. This feeding method will attract all carp sizes, but larger carp will feed more confidently. The small amount of spreaded feed will look like leftovers from a previously baited area and bigger carp might feed without being weary of the heaped offerings (all in one place). Spreading the feed will also appear more natural. An effective way to apply this feeding method to your angling session, if you are not using an inflatable, is by using a throwing stick when feeding boilies, a catapult if your swim is not too far out, or cast with a bait rocket to spread the bait effectively near your hookbait. 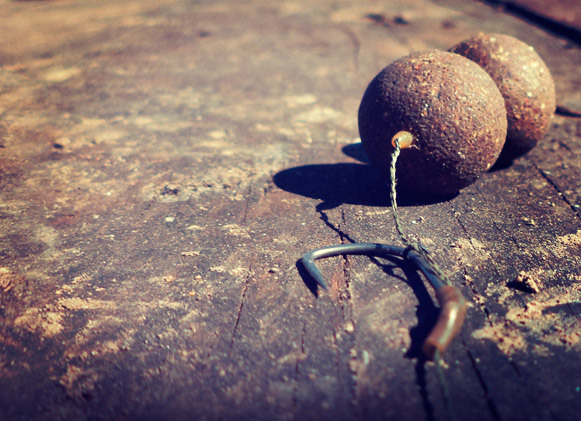 Feeding plays a considerable role in carp angling; do it effectively to match your circumstances, because the way you feed could change the outcome of your success.